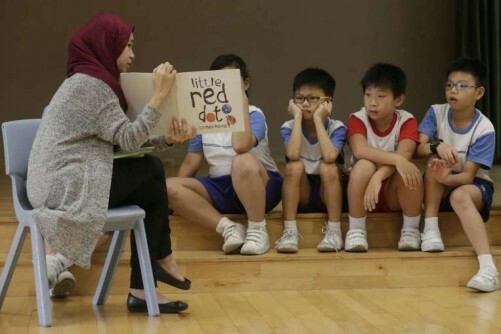 SINGAPORE - Only 800 graduates and school leavers have made the cut to become teachers so far this year, as the Ministry of Education (MOE) continues to scale down the recruitment of educators. An eight-year recruitment drive since 2004 has helped it to build up the number of teachers to more than 33,000 currently, said MOE, adding that the total number recruited this year is likely to reach 900 by the end of next month. Of those hired so far this year, the significant majority are graduates and 15 per cent are mid-career hires. But the number is still a big drop from the peak of its hiring drive in 2009, when 3,000 teachers were recruited. In the years after, the figure was between 2,000 and 3,000 a year. Then, in 2013, the number fell to 1,400, and last year, it went down a notch further to 1,300. On the further cut this year, the ministry said: "While we have grown the size of the teaching force significantly over the past few years, our focus now is on replacing teachers who have left the service and recruiting more teachers in specific subject areas." These areas include art and music, the humanities, Tamil language and physical education. In 2006, when MOE employed 28,000 teachers, it took steps to improve salaries and career prospects. Around 85 per cent of teachers are graduates, and at the primary school level, seven in 10 teachers have a degree. Eight years ago, the ministry improved pay and promotion prospects for mid-career professionals. That led to the number of mid-career teachers growing from 15 per cent of the teaching force in 2002 to nearly 25 per cent currently. In August, MOE announced another pay rise for teachers which came into effect last month. Up to 30,000 teachers received a 4 per cent to 9 per cent increase in their monthly pay. All trained teachers will also get an annual special payment each September from next year, ranging between $500 and $700 in cash. MOE has also announced a single salary structure for graduate and non-graduate teachers, in line with SkillsFuture's direction to recognise employees' skills beyond academic qualifications. With more teachers, schools have been able to reduce class sizes at lower primary levels to about 30 pupils, and offer more "extras", such as the Learning Support Programme. Teachers also have more time to develop themselves professionally. But with the ministry cutting back on hiring, more are disappointed at being turned away. Two graduates who failed to land a position as teachers said they were surprised as they had mastered the right teaching subjects and had some experience. One of them, a National University of Singapore graduate who declined to be named, said: "I have always wanted to be a teacher and I picked subjects like English language and geography as my majors. I also chalked up experience volunteering as a tutor in tuition programmes run by welfare organisations." The other, a 21-year-old overseas university graduate, suggested having a scheme similar to Teach for America, where fresh college graduates are recruited to teach for two years in low-income school districts. He said: "There should be a scheme where those who have a passion for teaching can be given some training and tried out for a year. If they prove themselves, then they should be hired as full-time teachers."